Palestinians are denied justice. Thousands are lawlessly arrested. They’re brutalized in Israel’s gulag. Prisoners committed no crimes. Israel persecutes them for not being Jews. Praying to the wrong God is criminalized. Hunger strikers defy Israeli lawlessness. Abstinence is their only weapon. Widespread actions persisted for weeks last spring. Some lasted over two months. Miraculously no one died. Victories remain elusive. Negotiations produced Israeli promises to ease prison harshness. Most strikers resumed eating. Pledges made were broken. Israel’s word is worthless. Promises aren’t worth the paper they’re written on. Imprisoned or free, Palestinians have no rights. Racism is policy. So is institutionalized persecution and violence. Arabs are despised. Israel calls them sub-human. Many end up lawlessly imprisoned. Some languish there months or years uncharged. Rogue states ignore rule of law principles. Israel is one of the worst. Democracy exists in name only. State terror is official policy. Palestinians endure extreme harshness. Hunger striker Samer Al-Eesawy refused food for over four and half months. He’s been hunger striking for justice. Israel does nothing gently. Rogue governments inflict pain aggressively. He was bogusly charged with “try(ing) to manipulate witnesses.” Doing so from inside Israel’s gulag is impossible. Prisoners are largely isolated. Samer tried to greet family members in court. Nachshon Brigade forces attacked him brutally. They assaulted his loved ones. They dragged him out of court. They took him back to prison. They raided his home. They arrested his sister, Shirin. They detained her short-term. She’s now under house arrest. Samer needs urgent medical care. He’s physically deteriorated. His life hangs by a thread. Boulos wants him hospitalized. He suffers severe chest pain and other symptoms. Bodily cuts need treatment. A brief session was held. The judge acknowledged Samer’s “difficult” condition. He “needs to be seen by a doctor,” he said. He stopped short of ordering it. On December 27, another session is planned. Boulos also said soldiers beat Samer again when he tried to talk to reporters. PPS head, Qaddoura Fares, said Israel often attacks and humiliates detainees and family members in court. Presiding military judges don’t intervene. Israel brutalizes Palestinians. Justice isn’t just denied. It’s trampled and stomped on ruthlessly. Ayman Sharawneh refused food for over 170 days. Palestine’s Ministry of Prisoner Affairs said he suffers from muscle spasms, memory loss, and severe kidney and abdominal pains. In October 2011, they were freed as part of the Israeli/Hamas prisoner exchange. Later they were rearrested. They’re hunger striking for long-denied freedom and justice. On December 19, Addameer provided additional information. Israel detained 41-year old Jafar seven times. He was last arrested on March 21. He was detained uncharged. On May 14, he began hunger striking. On June 19, he was released. His ordeal took a horrific toll. He suffers from low blood pressure, dizziness, headaches, protein deficiency, and constant joint, knees, hands, and spinal cord pain. Since 1989, Israel detained Tarek 13 times. Its lawlessness has no limits. Most recently, Israel imprisoned him for 15 months. He was charged with speaking at an American University of Jenin commemoration event. Earlier he hunger struck in solidarity with Khader Adnan and Hana Shalabi. Israel detained Yousef three times. He was last arrested in February. Israel sentenced him to eight months imprisonment. He, Tarek, and Jafar are uncharged. They committed no crimes. They’re among thousands of other Israeli political prisoners. They’re held lawlessly. They’re brutalized. Torture is official Israeli policy. Nearly everyone detained is affected. Children young as 10 are treated like adults. Addameer, other Palestinian human rights groups, Israeli and international ones condemn Israeli lawlessness. On June 26 annually, the UN International Day in Support of Victims of Torture, is commemorated. Global victims and survivors are honored. This year, a Detainees and Ex-Detainees Society report discussed horrific Israeli torture, abuse and humiliating treatment. It called Israeli policy ethically and legally corrupt. Photos showed brutalized children. Others displayed handcuffed and blindfolded male and female prisoners. They were in “disgraceful positions.” Soldiers mocked them. Excessive brutality is standard practice. PPS head Qaddoura Fares said 178 UN decisions condemned Israeli torture, abuse, and serious mistreatment since 1967. Israel ignores them. Brutality is institutionalized. Its official policy. Palestinians bear the brunt of Israeli ruthlessness at its worst. On December 20, the Palestinian Center for Human Rights (PCHR) appealed to international community leaders to save Ayman and Samer. It urged they demand immediate unconditional release. PCHR holds Israel fully accountable. They’ve been hunger striking for 174 and 144 days respectively. Ayman began on July 1. Samer followed on August 1. They’re protesting lawless rearrest and detention uncharged. In October 2011, both were part of the Gilad Shalit prisoner swap deal. Israel reneged on its promise. Released Palestinian prisoners were ruthlessly harassed. Many were rearrested. Long hunger strikes cause considerable physical deterioration. Both men now refuse water and other liquids. They lost considerable body mass. They suffer from general weakness, anemia, protein deficiency, low sugar, deteriorated vision, and considerable pain and discomfort. Their lives hang in the balance. Israel won’t release them. Adequate medical care is denied. Heavy pressure is applied. Prisoners are told either resume eating or face extreme harshness for refusing. 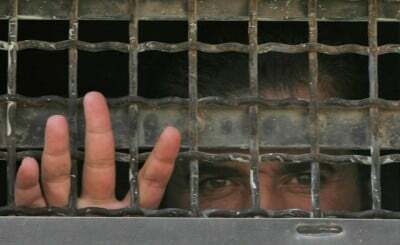 PCHR also expressed grave concern for thousands of other mistreated Palestinian prisoners. Israel’s gulag assures brutalizing inhumane treatment. Since 1967, over 700,000 Palestinians experienced it. Over 20% of the population was affected. For males, it’s 40%. For women, it’s about 10,000. For children around 7,000 were imprisoned since 2000 alone. No other country comes close to these figures. None calling themselves democracies dare. With the world’s largest prison population by far, America comes closest. Both countries spurn rule of law principles. Both institutionalized prison hell. Both prioritize pain and suffering. Nothing too abusive is avoided. Palestinians perhaps suffer worst of all. They endure the worst forms of cruel, humiliating and degrading treatment. Israel spares nothing to inflict torment. Collective punishment is official policy. World leaders able to enforce accountability do nothing. Palestinian suffering continues. It’s unabated out of sight and mind.